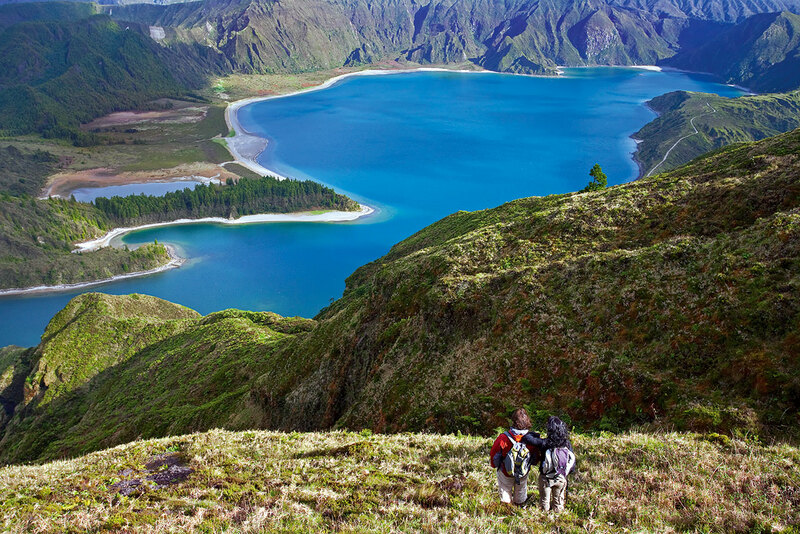 This linear route begins near the Eolic Park of Serra do Topo and ends at Fajã dos Vimes. Along the trail and whenever necessary to cross a gate, always leave it closed. Begin the trail along the regional road, heading South until you find a dirt road on your left, flanked by Hydrangeas (Hydrangea macrophylla). After crossing a gate, turn right into a wood rich in endemic vegetation such as Azorean Heather (Erica azorica), Azores Juniper (Juniperus brevifolia), Azorean Blueberry (Vaccinium cylindraceum) and the Laurustinus (Viburnum treleasei). Along the descending, the ground may be muddy or/and slippery, being advisable the use of proper shoes. Near a wood of Australian Cheesewood (Pittosporum undulatum) you will find an old rock stairway that goes down the cliff. 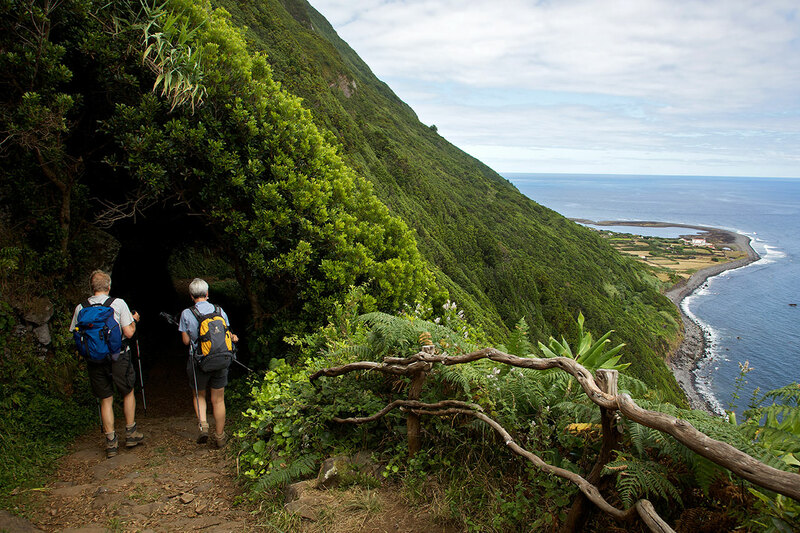 Arriving to the tarmac road, that gives access to Fajã dos Vimes, choose right until you find a drinkable water spring, known as Fonte de Água Azeda. 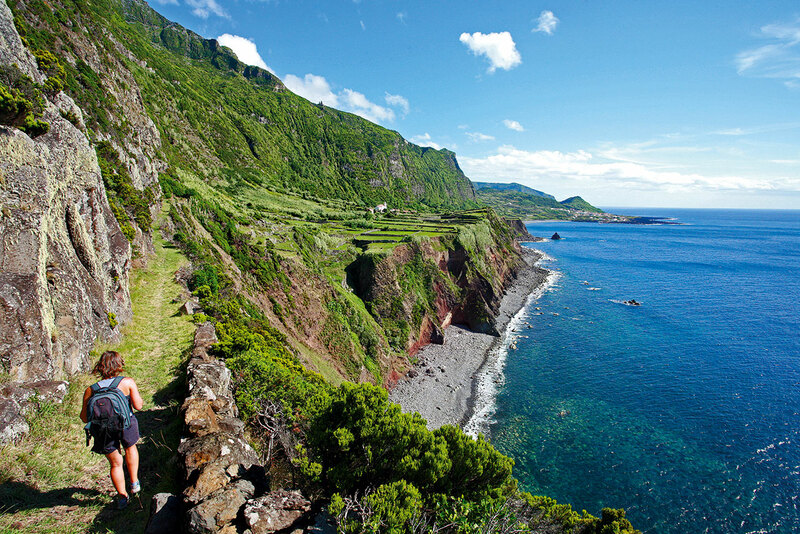 Proceed until you reach a crossroad where you should follow left, by a dirt road, towards Fajã dos Vimes. Here, there is a connection with PR 09 SJO Fajã dos Vimes - Fragueira - Portal. In the interior of the fajã it is possible to visit the handicraft workshop where the traditional quilts are made and taste a coffee produced locally. Go down the road until you arrive to a recreation port, place where the trail ends and where you can profit to dive into the Atlantic waters. In this place there are other connections to different points of the island through the walking trail PR 03 SJO Fajã dos Vimes - Lourais - Fajã de São João and GR 01 SJO Grande Rota de São Jorge.